If you haven't already, download Gibbed's Mass Effect 2 Save Editor. 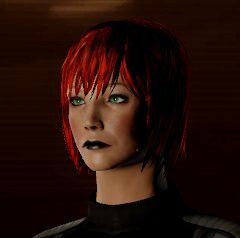 Start a new Mass Effect 2 game preferably with a female shepard (although putting female hairstyles on a male shepard will surely have interesting results). 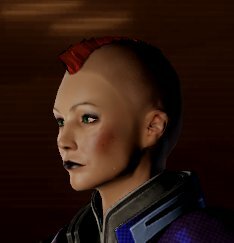 When you are at the character creation screen for the new character, create your shepard, and then choose the hair colour you want your shepard to wear with the new style, and choose a random hair style (doesn't matter which one as you will be changing the imput code anyway). Open Gibbed's Mass Effect 2 Save Editor. Now the fun begins! xD Click on the FOLDER icon at the top left corner to open a save game. 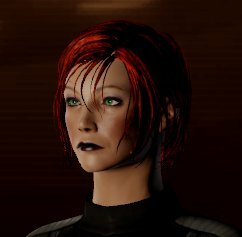 Find the save game you just made in the folder Bioware/Mass Effect 2/Saves/*name of character*/Save0001 (or something like that). Your game details should have loaded into the Save Editor. Next click on the RAW tab at the top. This is where all the modifications can be made for your game. To modify the hair style, under the heading '2. Squad', there are the words 'Henchmen' and 'Player', we want 'Player' at the moment. Click on the CROSS, left of 'Player', then the same for 'Appearance', and then the same for 'Morph Head'. Now if you look next to 'Hair Mesh' there is a code starting with 'BIOG_HMF_HIR_PRO....'. This is the code you need to change for the different hair meshs. To change it literally copy and paste one of these codes below into it's place. *Don't worry this won't overite the original hair mesh file, it will only change the input code for the game to register what hair mesh to use. To change the hair texture code, below 'Hair Mesh' next to 'Texture Parameters', it will say '(Collection)'. Click on the word and on the right there should be a box with an ellipsis (...) in it. Click on that. A new window should come up with all the different texture codes. For the non-standard hair style you have used you only need to replace the _Diff and _Norm codes, don't worry about the _Mask and _Tang. If you look next to the numbers  and  on the left, there should be HAIR_Diff = ... and HAIR_Norm = ... These are the textures you need to change. Click on 'HAIR_Diff = ' to start with. On the right there should be the Name -> HAIR_Diff and Value -> BIOG_HMF_HIR.. etc. All you need to do is copy and paste the Value code of the following corresponding textures codes of which non-standard hair mesh you replaced earlier. Do the same for the _Norm code. Once you are done, click on the FLOPPY DISK icon at the top left to save your changes. Save by overiting the original save game file, but make sure you save it as the same name it was originally. Et Voila! 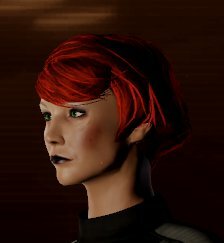 You should be able to load that save game and be able to play with your brand new awesome hair style!